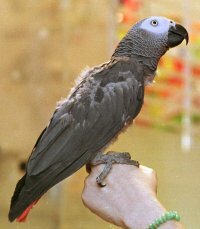 N’kisi the parrot became famous because of his amazing ability to read his owner’s mind. Do you believe this kind of story? Another possibility is that animals have developed a language of thought. A lot of people say that animals have the ability to communicate via telepathy! However, a lot of people say that’s nonsense. What do you think? Maybe all (or a lot of) animals have a language of thought. Maybe they can communicate via telepathy! Perhaps it is only humans that developed the need to communicate by speaking. For example, perhaps humans lost the ability to communicate via telepathy! Then they had to develop a sophisticated method of communication (language) and this in turn helped them develop their sophisticated ability to think. Maybe humans lost the ability to communicate via telepathy. 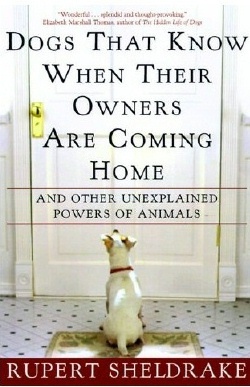 Lots of people claim animals can communicate via telepathy. Maybe we lost this ability as we developed the ability to communicate via speech. What do you think of that?